New Delhi, March 5: Sunanda Sharma (Name Changed), 30, came to a city Hospital with multiple challenges for the team of doctors. Advanced stage pregnancy and life threatening heart condition posed a serious threat to mother and unborn child. Sunanda was admitted at Aakash Healthcare at a time when both the patient and her baby in the womb were struggling for survival and the doctors had the most challenging task for them. Two lives were on peril and any delay could have been fatal. A multidisciplinary team of doctors swung into action and saved both lives. First the experts saved life of the baby and went on to perform a risky second heart valve replacement surgery to save the mother’s life. Seven years ago, Sunanda had undergone Heart Valve Replacement (Mitral Heart Replacement) surgery and put on strict routine of lifelong blood thinners to prevent clotting on her metallic heart valve. Last year, she conceived and her delivery was scheduled on early January 2019. Since early January she stopped taking her blood thinners in anticipation of her baby, and in overwhelming excitement just forgot her underlying heart condition.Suddenly she developed breathlessness and difficulty in breathing. In the initial tests of her heart at a local hospital in Rewari, it showed that her metallic heart valve had developed acute clots and had stopped functioning. This is a life threatening condition which has 50% survival chances even in the best of hospitals worldwide. Immediately, she was transferred to Aakash Healthcare in Delhi. By the time she reached the Emergency room, her oxygen level went very low, and she was immediately put on ventilation to save her life as well as of the baby in her womb. Her quick medical history revealed her previous Heart Valve Replacement surgery and the doctors also discovered the fact that she stopped taking her prescribed blood thinners. Her condition was diagnosed as Stuck Metallic Valve of the heart with water in the lungs(Pulmonary Edema).Her body oxygen levels were low even with support of the ventilator. First of all, two teams- led by Cardiac Anaesthetist Dr Gaurav and Gynaecologist by Dr Sumana Banerjee and Dr Richa Gupta- opted for emergency caesarean section and the baby was successfully delivered. Another team of neonatologists led by Dr Gaurav Jain and Dr Meena awaited the birth of the baby with all possible logistics and supporting staff, expert in new born resuscitation. 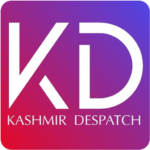 Meanwhile, over 5-6 hours of the delivery, condition of the mother deteriorated with severe lack of oxygen in the body and additional complications. She had little chance of survival, according to specialists. A highly experienced cardiac team comprising of Dr Amrish Kumar examined Sunanda who was in an extremely serious condition and they zeroed down on a second Heart Mitral Valve Replacement surgery to correct her stuck heart valve. “A redo of the Heart mitral Valve Replacement surgery is an extremely risky surgical adventure and at this stage it carries over 80 percent on table mortality risk. The same was explained to the family,” said Dr Abhay Kumar. The team performed a second Heart Mitral Replacement Surgery on the patient battling consecutive cardiac arrests thrice in the operation room. It was an 8 hour long surgery in the operation theatre before the patient was completely stabilized and brought back to the intensive care unit. 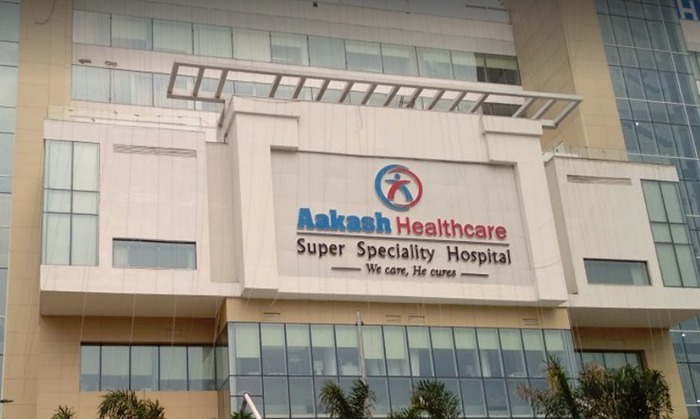 Sunanda case manifests a classic example of excellent multi-disciplinary team efforts of the highly efficient and experienced doctors at Aakash Healthcare. The entire team of medical, para medical and support staff extended their unending support to make the procedure successful.